Dr. Goldstein was born and raised in New York City before graduating from Colgate University, from which he received a B.A. degree with a major in Biophysics. He attended Emory University School of Medicine in Atlanta. Upon graduating with his MD degree, he completed residencies in both Internal Medicine (College of Medicine and Dentistry of New Jersey/Robert Wood Johnson) and Neurology (Stanford University). He is board certified in both Internal Medicine and Neurology .Upon relocating to South Florida after completing his training, he joined a busy clinical neurology practice. During the next 30 years Dr Goldstein helped to grow the practice to 6 physicians. Dr. Goldstein began participating in clinical trials in the late 1990’s. To date, he has participated in over 60 clinical trials, being the Principal Investigator 55 times. Most of these trials have been conducted through JEM Research Institute, of which he is a founding member and the CEO. Under his guidance, JEM has grown into a substantial clinical research site currently employing 15 people, and conducting over 20 active trials, many of which deal with progressive cognitive decline. 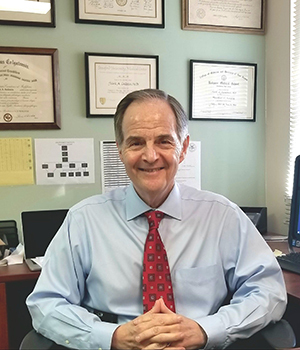 As a clinical neurologist, Dr. Goldstein served as an Affiliated Assistant Clinical Professor of Neurology at the University of Miami .As a researcher, he is currently a Certified Principal Investigator as well as a Fellow of the Academy of Physicians in Clinical Research. Dr. Goldstein has served on the board of directors of the Medical Specialists of The Palm Beaches, the largest multispecialty medical group in Palm Beach County. He has also been a member of the executive committee as well as chairman of the credentials committee at JFK Hospital in Atlantis. He has been both the Chief of the Division of Neurology and the Director of the Comprehensive Stroke Center at JFK.